The Shower Enclosure line of walk in tubs from Sanctuary comes in both Small and Medium sizes. 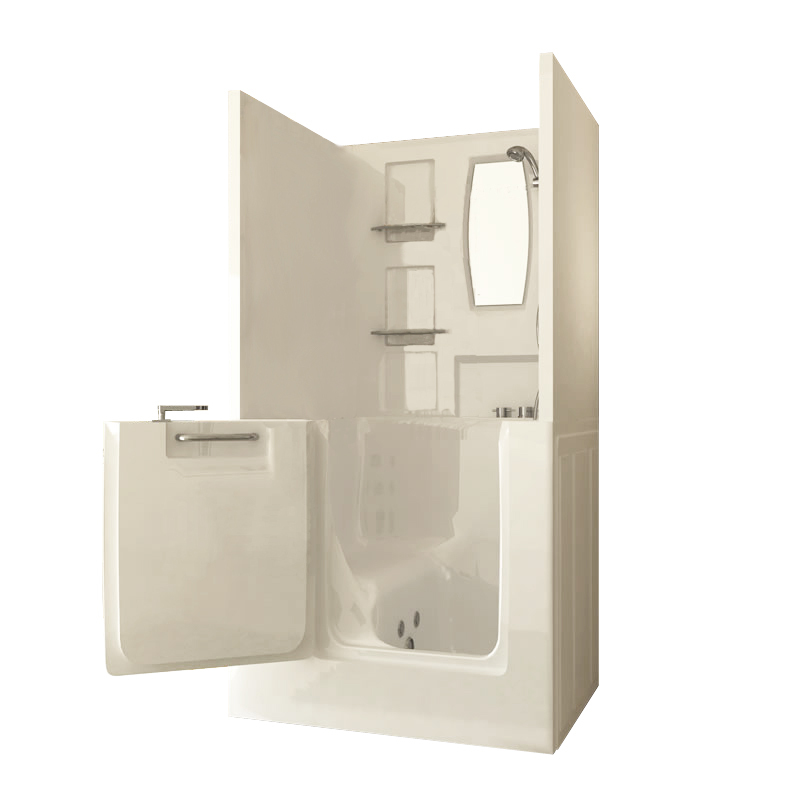 Their main feature, in addition to the quality acrylic tub, is an upper enclosure that sites on top of the tub, turning the tub into a dual bathtub / shower. Shower Enclosure walk in tubs truly give you the best of both worlds. 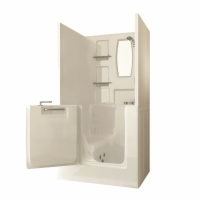 The Small Shower Enclosure tub is small enough to be used in apartments, mobile homes, or in other situations where space is at a premium.